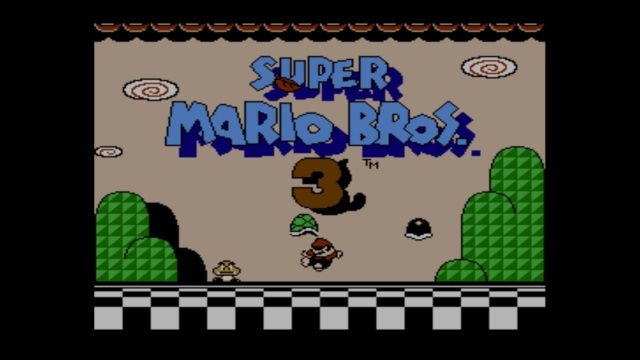 Year of Mario: My Memories of Super Mario Bros. 3! 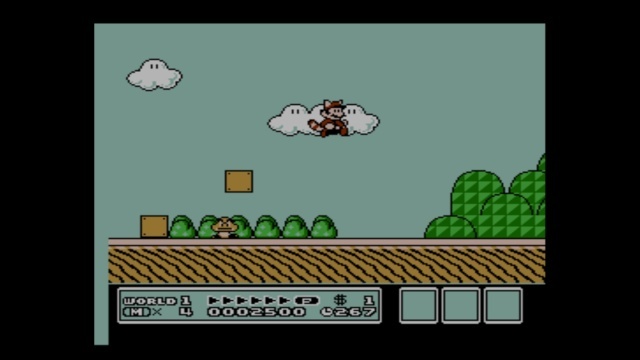 It was Christmas of 1992 in Chandler Arizona and all I wanted for Christmas was Super Mario Bros. 3. When I woke up that crisp cool morning I rushed downstairs to our Christmas tree where my parents were and I excitedly opened my presents! I was so happy when I finally opened the present that housed my own copy of Super Mario Bros. 3! After finishing opening the rest of my presents I quickly rushed back upstairs and inserted my Super Mario Bros. 3 cartridge into my NES for the first time! I was dazzled and amazed when I saw the title screen for the first time! Clearly the game looked far better than the first two Mario titles. As I played the game I was really amazed by the length of the levels, with some being 3x the size of the levels in the original Super Mario Bros. title! Another thing that I really enjoyed as I marathon played through the game for the first time, was the sheer amount of new power-up's and enemies that were introduced in the game! After playing the first two titles I just couldn't believe how much content Nintendo had crammed into the game cartridge! While sitting there on that wonderful Christmas morning I was also mesmerized by the catchy music in the game. Super Mario Bros. 3 has alot more music tracks than the original game which was something I really enjoyed. And let's not forget about my first experience with the flying fortresses! Those were just so cool and I really loved the epic music that played in those levels as well as the exciting boss battles at the end of the flying fortresses! But perhaps the most impressive thing about the game to me, at the time was World 4 also known as Giant Land which had huge blocks, enemies, and pipes which absolutely blew me away! I was in such awe because I had never seen such big enemy sprites before and the scale of the ememies was just breathtaking! Then of course I reached world 7 and then 8 and was completely amazed by how much the difficulty ramped up! I struggled for several hours trying to progress through the challenging stages and then I managed to reach Bowsers Castle in world 8! 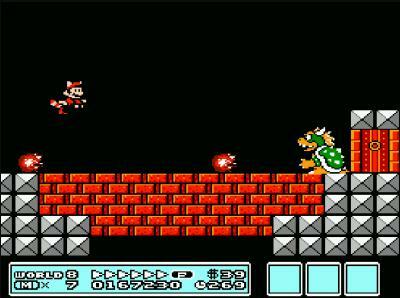 The stage was very tricky, but I wasn't about to lose my last few lives and bedtime was drawing near so I carefully navigated the level and finally faced off against the mighty King Koopa! At first I didn't know what I was supposed to do, but then when it seemed like I was going to run out of lives I managed to defeat Bowser and watch the ending credits just before bedtime! That was possibly the most fun I have ever had playing a video game! It just felt so magical at that age. What did you think of this exclusive feature? As always be sure to leave us feedback in our comments below! 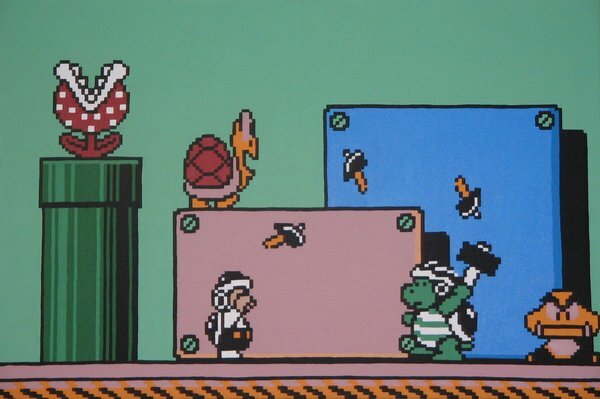 Re: Year of Mario: My Memories of Super Mario Bros. 3! That was a good story. Thanks for sharing your precious memories with all of us! This will be one of the rare occasions that I'll use an emoji. Awesome story, @Ichigofan. I, too, know the joys of playing a Mario title for the first time, so it's neat to see another fan's perspective. Oh, and welcome to WiiWareWave!